Boots has been running a double points promotion this weekend and whilst the in store promotion expired yesterday, you can still benefit from double points online. Until midnight tonight you will earn double Advantage points with every order of £20+. These bonus points events are great to build up your Advantage points balance. Existing points promotions will not be multiplied. As usual NHS prescription items, infant milks (up to 6 months), gift vouchers/cards, postage stamps or carrier bags are excluded. The Points Event page is here. The Points Event offer can be combined with the current Aussie offer. 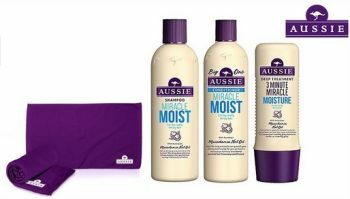 Any three bottles currently cost £10 and if you buy three bottles of Aussie hair products you get a free towel. The Aussie offer is here.